Today I found out that Frank Sinatra was originally offered the main role in the movie that would become Die Hard. This 1940s singer might not be the man who comes to mind when you think about the action-packed Die Hard movies. At the start of his movie-making career, Sinatra was cast mostly in singing roles, though he did manage to break away from being a “singer employed as an actor” and made a name for himself as an actor alone, winning a few Academy Awards and Golden Globes for his performances. That said, many people these days can’t shake that image of young Sinatra crooning into a microphone—not exactly something you’d imagine the character of John McClane doing. So, how did Frank come to be considered for the role? It all started with an author named Roderick Thorp. You might not know it, but the Die Hard movie was based on a book called Nothing Lasts Forever by Thorp, which was published in 1979. The LA Times reviewed the book, saying it was “A ferocious, bloody, raging book so single-mindedly brilliant in concept and execution that it should be read at a single sitting.” This book is really what made Thorp a big name, but he was on the publishing scene much earlier. It turns out that Nothing Lasts Forever is actually a sequel to a book called The Detective, published in 1966 which was made into a movie of the same name in 1968. 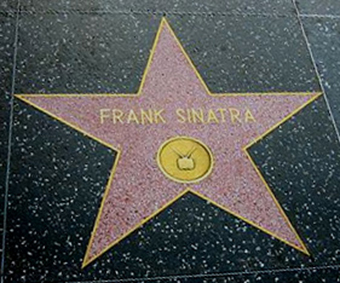 The movie starred—you guessed it—Frank Sinatra as the main character, Detective Joe Leland. The book was extremely popular, remaining on bestseller lists for a while and making a name for Thorp; the movie also did well in the box office. It was described as “gritty” for its time, dealing with issues like homosexuality, but it was decidedly less action-packed than the Die Hard movies we know today. Die Hard itself wasn’t picked up by producers until 1988, nearly 10 years after the book it was based on was published. Because the movie was technically a sequel, they were contractually obligated to offer Frank Sinatra the leading role. He was 73 years old at the time and gracefully turned the offer down. After Sinatra turned the offer down, the role was offered to Arnold Schwarzenegger, and the movie was pitched as a sequel to the actor’s 1985 film Commando rather than a sequel to The Detective. Schwarzenegger also turned down the offer, and instead Bruce Willis was cast in the leading role, with the character renamed John McClane instead of Joe Leland. Willis was not exactly the kind of person the studio was hoping to cast in the role. At the time, he was mostly only known for comedies, not action movies. But they had been turned down by a variety of other actors since offering the role to Sinatra and Schwarzenegger, and they had to settle. The movie, of course, did extremely well, with a budget of just $28 million, the film grossed about $140 million by the time it was out of theatres (about $268 million today), earned four Academy Award nominations, and was generally well-received by critics. The franchise of Die Hard is still going strong, though its original writer and main character have since passed away. Sinatra died in 1998 at the age of 82, while Thorp passed away in 1999 at the age of 62. Willis, meanwhile, had his career made by the Die Hard movies and despite now getting up there in years himself (about to turn 59 ) remains involved in the series as well as other action movies. Thorp founded the creative writing program at the School of American Studies of Ramapo College in New Jersey. He also started up the Palm Springs Writers’ Conference. He had wanted to give back something to the community after all of his success, as he was grateful “that his books seemed to excite the attentions of movie producers.” Thorp later taught creative writing as well, passing his knowledge on to young minds. The last book Thorp wrote before he died was called River, a novelization of the Green River killings that saw some 50 women murdered in the 1980s. It was published in 1995 and was also optioned for a movie, but it doesn’t appear to have taken off. Sinatra was a member of the Glee Club at his high school, but he ended up dropping out of school to sing at local nightclubs instead. Soon after, he started getting exposure on the radio, and his career took off. Interested in politics, Sinatra campaigned for Franklin D. Roosevelt, Richard Nixon, and later Ronald Reagan. Reagan ended up giving Sinatra the Presidential Medal of Freedom in 1985. Sinatra was married four times. First to his high school sweetheart, then to actress Ava Gardner, actress Mia Farrow, and lastly Barbara Blakely Marx. The last marriage lasted about twenty years until Sinatra died. He had three children by his first wife, and Mia Farrow has claimed that her son by Woody Allen is actually Sinatra’s child, though nothing has been confirmed. In the book, Nothing Lasts Forever, the main character is much older than than Bruce Willis’ John McClane. He’s retired, and he’s visiting his adult daughter who works at the building where the robbers attack. So, Frank Sinatra would have actually been a better fit for the original story.